I was appointed the rural dean to this parish in January 2016. I’m married to Graeme Munford and we have five children, three of our own and two fostered. I have been in ordained ministry since 2005. Prior to being ordained I was a nurse educator here in the Manawatu where we have predominantly worked and raised our family. I was a lay leader in the parish of Pohangina and have enjoyed the transition to full time ministry. I love leading this parish situated in a spectacular part of God’s creation. My true joy is sharing the love of God and the Gospel of Jesus Christ with those I meet. I like to think that I have the best job in the world, I get to hang out in God’s creation spending time with those he cares about the most. My main aim in leading church services is not to bore you but to open our eyes and ears to the possibilities that God has in store for each of us and the work he has for us to do. Drop me a line or come and visit, it doesn’t have to be on a Sunday either. ​I'm Sarah McMenamin, a priest assistant in the parish. I began here in February 2017, moving up from the Wellington region. I am married to Joe, who's an artist, and we have three children. I have been in ministry in Naenae, Lower Hutt for two years before moving here, and before that in Wellington, where I was ordained in 2014. I am passionate about helping people encounter God in new and deeper ways, about seeing all ages and generations in the body of Christ, and about acknowledging what has been in the past to help us find a way forward for the future as a church. Feel free to contact me for a chat or catch up, I'd love to meet you and hear what God is doing in your life. Moved to Feilding in 2009 with wife of 37 years, Max. Anointing Ministry and a full Member of the Order of St Luke. Joined the Prison Chapel team in 2005. Started the Angel Tree programme in the Parish of the Oroua in 2012. This is a Christmas Ministry for the children of prisoners. Ordained as Deacon in 2013. Priested in 2014. Involved with the communities of St Barnabas, Rangiwahia and St John’s, Feilding. Enables ministry to Rest homes in the community and performs room blessings at rest homes as required. Lay ministry since arriving from England has been in this Parish and I was ordained to the priesthood here at St John's, Feilding on Labour weekend 1987. 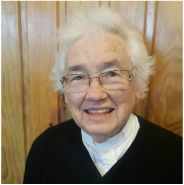 Muriel was one of the first women ordained within our Diocese and has served this parish long and well. Her role primarily now is one of wisdom and love as she continues to pray over our parish. Muriel blesses us with her presence at the Wednesday 10am service. 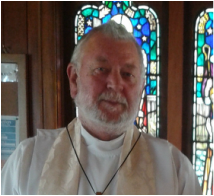 ​Graham is an Accredited Parish Chaplain and congregational leader for St Andrew’s Church in Colyton. He also assists in leading the innovative Saturday services and can be seen around the parish working with St Saviour's and St John's, especially with his music ministry. He has been active in the parish since he moved from the UK in 2004 with his wife Su, and children Angharad and Niamh who are now both in tertiary studies. Graham is passionate about worship and has been involved in leading worship in a number of churches in the district. Graham is a full time Maths and Robotics teacher at FAHS Feilding High School and leads a number of community clubs. 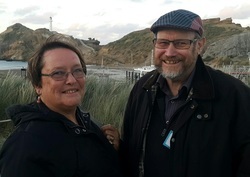 Bobbie and Lindsay are a husband and wife team who are Authorised Parish Chaplin's within the Anglican community of the Oroua. They minister in the rural area of Kimbolton. Also assisting in other parts of the Parish of the Oroua as required by the Rural Dean. They are both actively involved in the Feilding community. Lindsay is also an Independent Celebrant involved in funerals and weddings for families who are not affiliated with the Church. Born and bred in the Manawatu. I reside in Palmerston North but am blessed to be part of the dynamic worshipping Whanau that makes up our Anglican Oroua Parish. 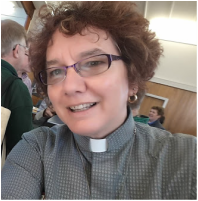 I am an Accredited Parish Chaplain, having completed a diploma in Christian Ministry Studies. As a Chaplain I am deeply committed to Pastoral Care and serving wherever there is need. My God given passion is to serve those that are marginalised in society. My current Ministries include assisting at St. Mary’s in Beaconsfield as a Lay Minister. I’m a member of our Prison Ministry Team, a volunteer at the Arohanui Hospice in Palmerston North and am involved in Healing Ministry as I hold an anointing licence.